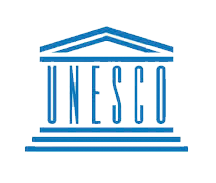 United Nations Educational, Scientific and Cultural Organization (UNESCO) advances human rights and the rule of law across its areas of competence, with a focus on the right to education, the right to information, freedom of opinion and expression, cultural rights, and the right to share in scientific advancement and take part in scientific progress. Starting with pilot countries, UNESCO is leading implementation of the United Nations Plan of Action for Safety of Journalists and the Issue of Impunity, adopted at the 68th session of the UN General Assembly. UNESCO works to combat illicit import, export and trafficking of cultural property, and the destruction of cultural heritage. In an overall effort in making cultural protection a pillar of peace-building, and in follow-up to the recent UN Security Council resolution 2199, which condemns the destruction of cultural heritage and adopts legally binding measures to counter illicit trafficking of cultural objects from Iraq and Syria, UNESCO is launching a global coalition of partners to strengthen powerful system-wide action for its implementation. UNESCO champions the promotion of human rights and related instruments by monitoring implementation; building and strengthening capacities and reporting mechanisms; assisting Member States in reviewing and developing their national legal frameworks; mobilizing broad partnerships to raise awareness on key issues relating to the effective realization of rights, including through human rights education; as well as through specialized policy research and analysis.